SMS stands for ‘Short Message Service’ and is a text message which can be sent to or from a mobile phone. Using SMS as a form of marketing means that a text message can be carefully written to communicate a special offer or company information with a large group of people very quickly and easily from an online platform. SMS Marketing is permission based, thus each customer must have given permission to the company to send text messages to their mobile phone. Companies can collect their customer’s mobile phone numbers in many different ways. Once you have permission to contact, you must decide who you want to target and what you want to tell them. Successful SMS Marketing campaigns send a short, concise message with a very clear call to action. They often personalise the message to include the customer’s first name to increase the chance of a response. A clear call to action could be a website link, phone number or email address. In order to measure how successful the SMS is, you need to be able to track the response to it, without a clear action required by the customer you won’t be able to do this. Online platforms also provide you with a delivery report for every SMS you send. You can segment your customers by their preferences also; this means you can send relevant text messages to them. Research has shown that relevant marketing SMS’ are more likely to be successful. Sendmode allows you to upload your customers into as many different groups as you need. 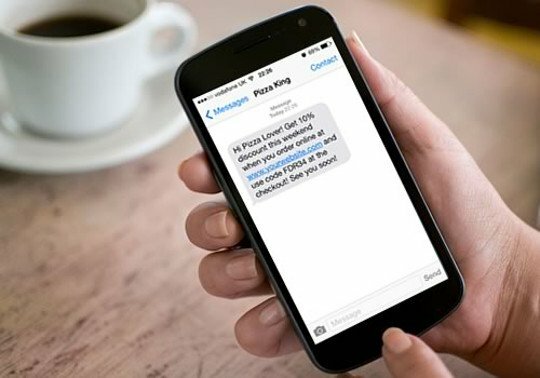 This means you can send personalised, relevant text messages to your customers to build their trust and loyalty. SMS marketing is also required to give an opt out option in every SMS sent. This can be done in a number of ways such as using a keyword or directing your customers to an opt out link.